I love this picture! 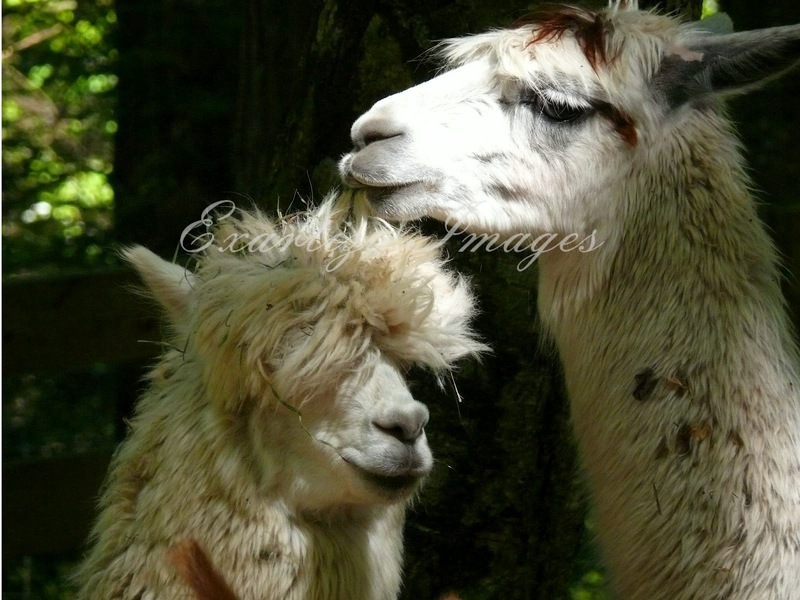 I loved taking it and it makes me smile every time I look at these TWO ALPACAS. From the moment I saw these two, I could tell they were a couple. 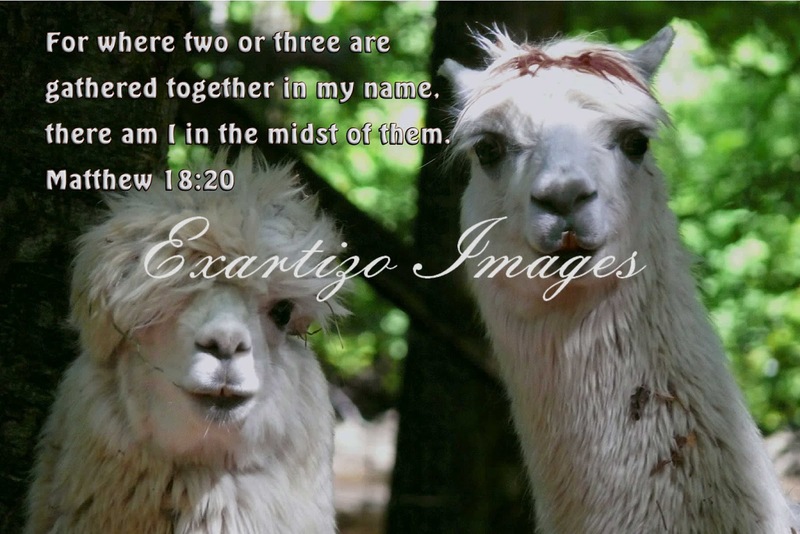 Even amongst all the animals that were there with them, these two came across as true mates. I think that is how it should be when we are with our own spouses; people should know without even asking that you and your spouse are one. My husband pointed out the context of Matthew 18:20 is forgiveness. I thought this would be appropriate for Valentine's Day, for at the center of any good relationship is forgiveness. I have seen people hold on to grudges thinking they were punishing the other person. When in reality they are hurting themselves. There is freedom in having a heart that can forgive. Also, on the other side is the freedom to stop doing what it is that bugs your spouse. Matter of fact, let it be a secret Valentine gift. Then watch the peace you will also receive from giving the gift.